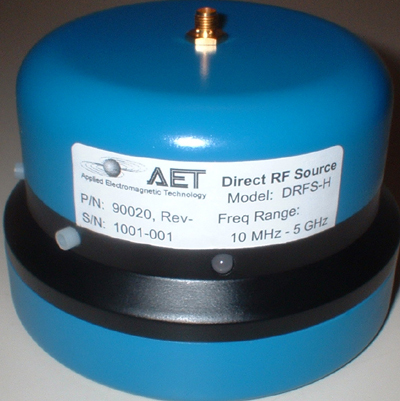 The DRFS is a highly stable, battery operated, comb generator completely contained in a small enclosure for direct connection to test instrumentation. Comb frequencies include 10 MHz, 64 MHz, 100 MHz, & 133 MHz with the highest frequency above 16 GHz! A unique feature allows the comb signal to be pulsed on/off to allow testing of quasi-peak detector! The pulsed mode works for any comb frequency selected.